When undertaking a painting job, it’s only natural to want to get the best possible result at the best possible price. And that leads us to the issue of whether to use painter’s tape vs masking tape for the job. Many do-it-yourself painters like to use masking tape because of the lower cost, but there are advantages and disadvantages to each product. This largely depends on factors that include what you’re painting and what kind of paint you’re using. Both tapes come in a variety of sizes, with many factors needing to be considered. These include price, residue, ability to withstand application of paint and the effect of oil versus water based paint. Price. Masking tape is definitely less expensive than painter’s tape. 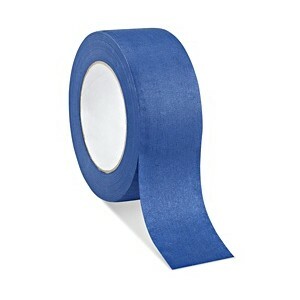 Paint may stick to the surface, causing it to peel when the tape is removed. Water-based paint can cause tape to buckle or pucker, letting paint seep onto the surface below. Oil-based paint will degrade masking tape more quickly, seeping through the surfaces. Price. Painter’s tape is definitely more expensive than masking tape.